I was using a Sony Cybershot point-and-shoot (DSC-W630) to capture the images of this trip. That small form factor camera has been my companion in the last three trips, too. Me and my sister have been using it for the last three years. It was quite foggy today morning. The moment I took the first picture, the screen flickered and turned white. This is the last image I could take while the display was working. Later in the afternoon, I took the camera to a local repair shop in Mandi. The repair guy took a look at it and said that the display might be damaged. At best, it would be ready in 4-5 days. I will be leaving Mandi tomorrow and it made no sense to leave the camera when there were uncertainties in dates. 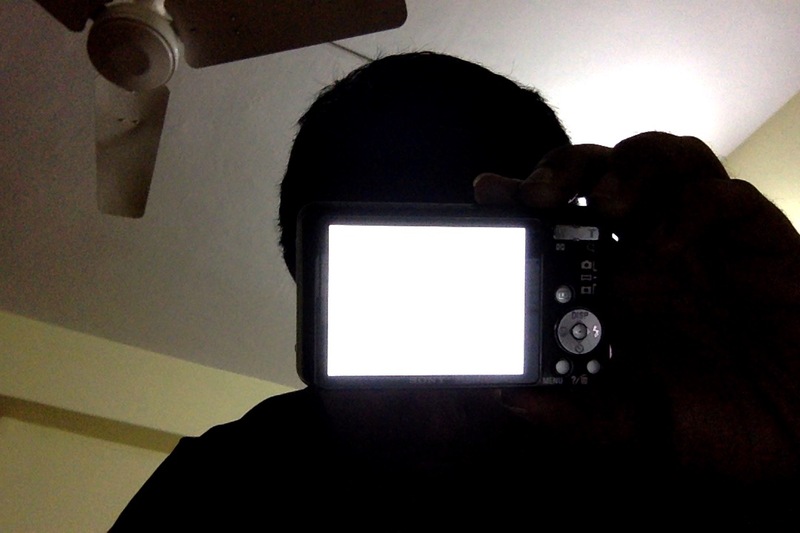 My camera display is brighter than what it should be. Few people had commented earlier that I should get a better camera. Maybe it’s time. Anyways, I have my four year old Samsung Note 1. It’s camera is not even upto the marks but it can do the job for the remaining days of my trip. The only problem is that it’s showing signs of ageing and its battery doesn’t hold that good. There are two ways to get to Rewalsar from Mandi. One route winds through the villages and takes about three hours. The other is a direct route and takes about one and half hours. It is better to ask the bus conductor which route he will be taking. 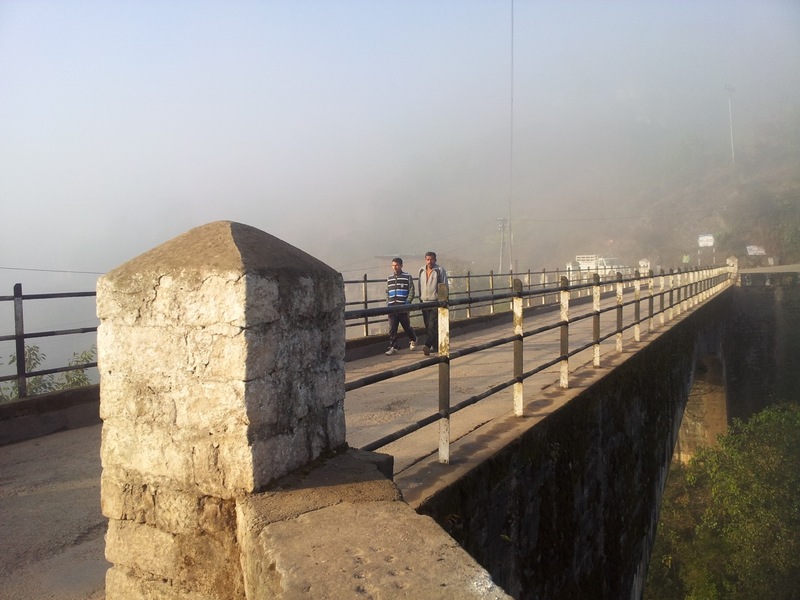 Beyond this bridge at Pattipul is the fork in the road. The left one leads straight to Rewalsar. 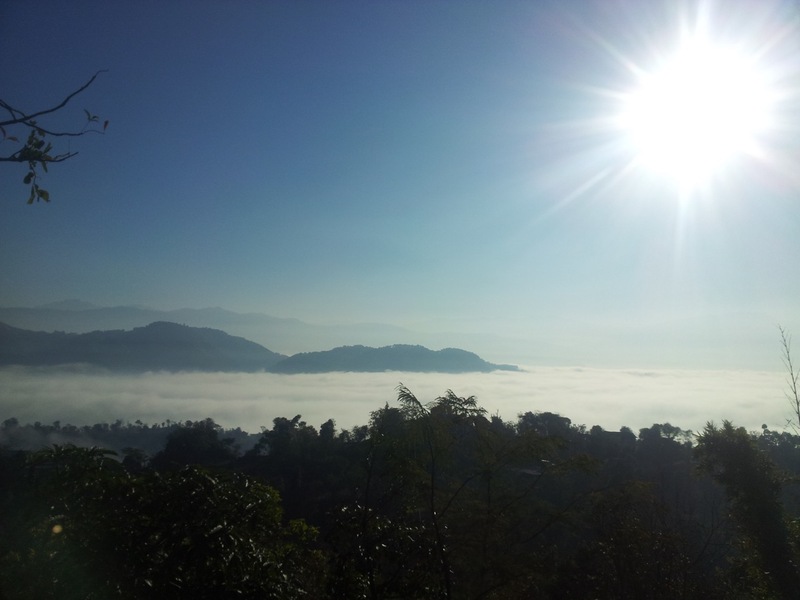 The villages and settlements are hidden beneath a layer of clouds. If I knew beforehand what an awesome place Rewalsar is, I would have planned a day or two in Rewalsar. It is one of those peaceful places where I can stay for days. The place is built around a lake, the Rewalsar Lake. 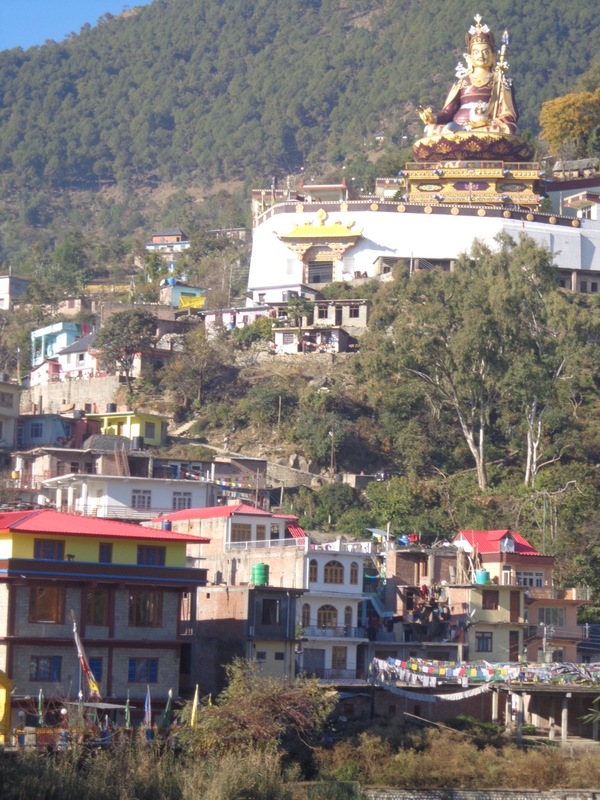 It houses three Tibetan Buddhist monasteries, one Gurudwara and a few small temples. Like all Buddhist places, it is recommended that one treads the lake in a clockwise fashion. 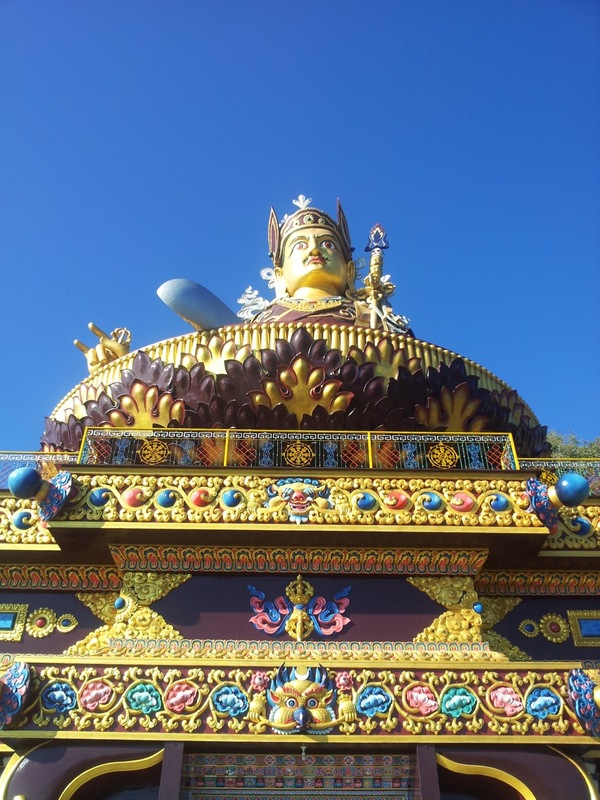 A huge statue of Padmasambhava greets the incoming buses. This statue was built over a period of eleven years. It was completed in 2012. 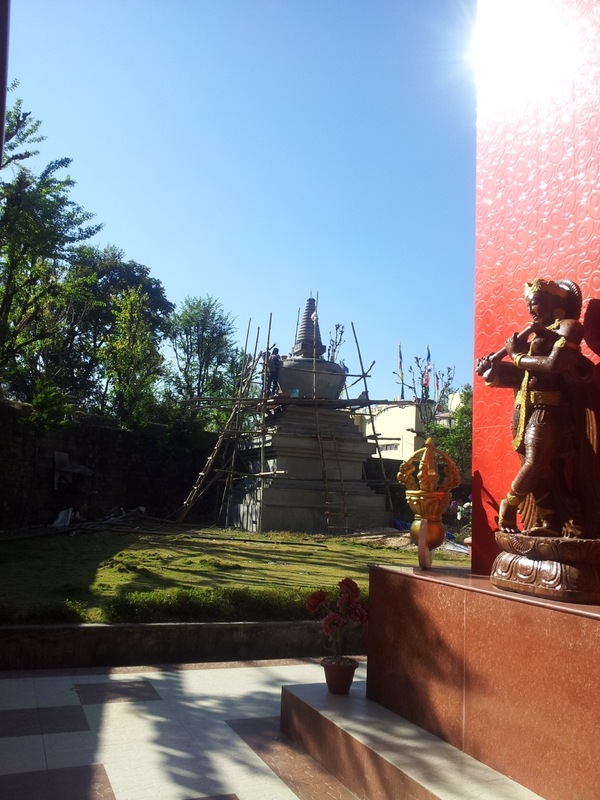 Padmasambhava’s statue is visible from afar. 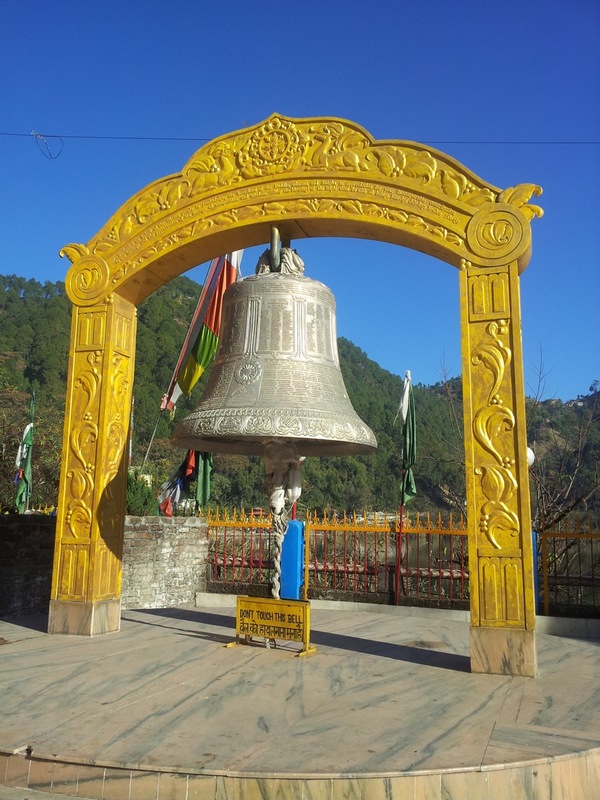 The bell of peace at Nyingmapa Monastery. The idol of Padmasambhava from the base of the monastery. Zangdok Palri or the Lotus Light temple of Padmasambhava is located diametrically opposite to the huge idol. Every corner, including the three levels of the palace itself is open to the general public. There is a meditation centre adjacent to this building. A chorten was under construction in Zangdok Palri. The spire of a Shiva temple was under construction, too. 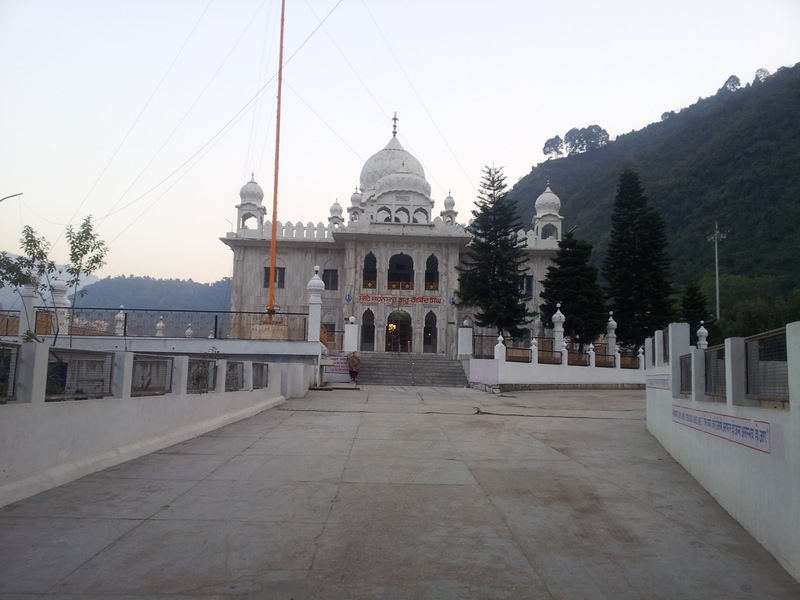 Guru Govind Singh’s Gurudwara is right in front of Zangdok Palri. The lake itself is a very peaceful place. I saw a lot of different types of people walking around or sitting beside the lake. Old Buddhist men rotating their prayer wheels. 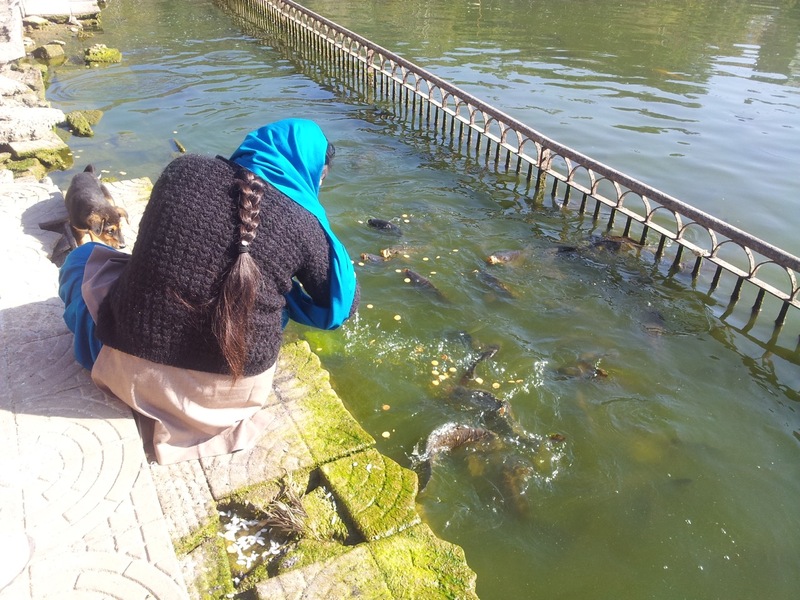 A woman feeds the fishes of the lake. There are designated feeding spots. Feeding fishes anywhere else is prohibited. 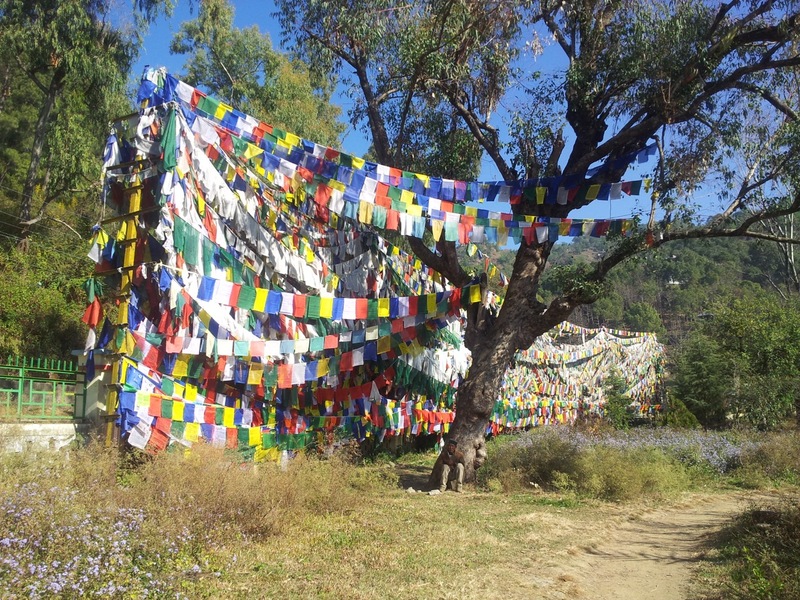 Prayer flags between trees create a wall. There is also a government high school adjoining the lake. 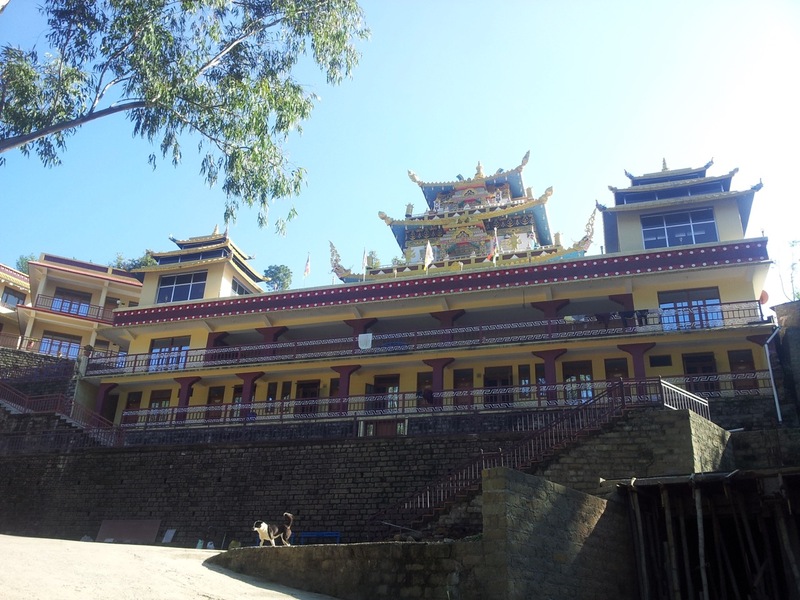 The road from the Padmasambhava idol to the lake passes right through the school premises. 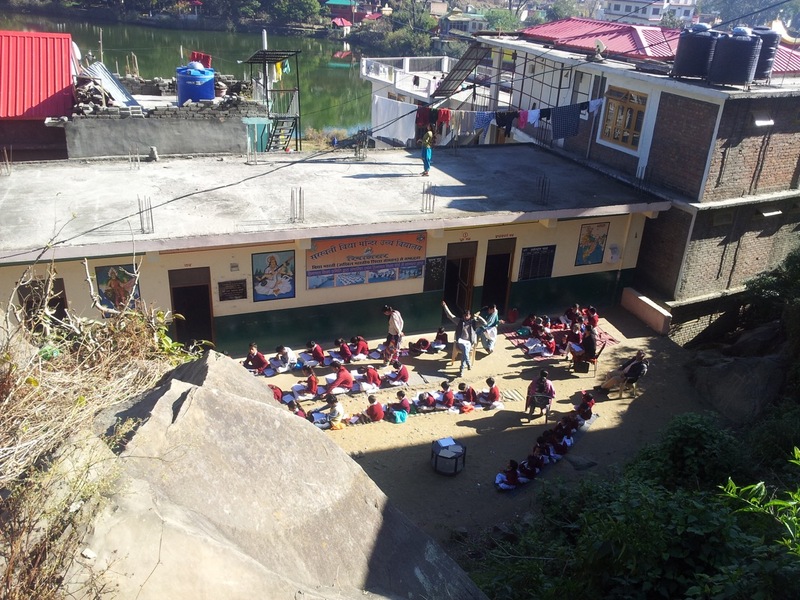 In winters, classes are held outside in the warmth of the Sun. 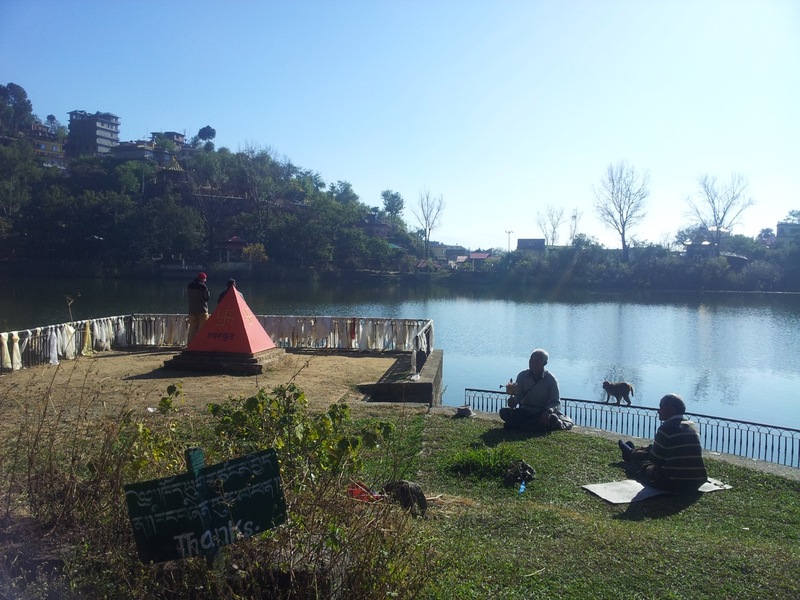 I had a late breakfast near the lake in a small Tibetan shop. The owner’s son was jumping around. 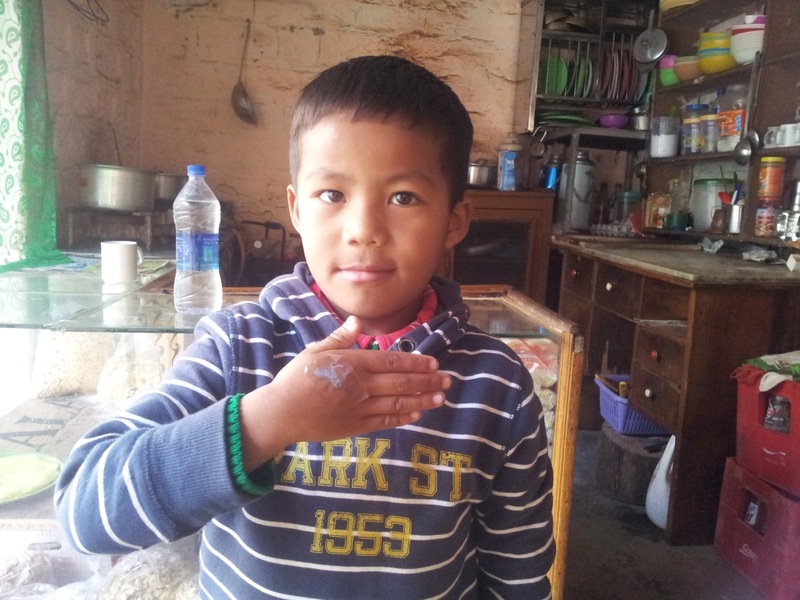 He had put a temporary tattoo on the back of his palm and kept explaining how to put it on. Master Tshering was running around. He had four days of holiday and he was enjoying every bit of it. 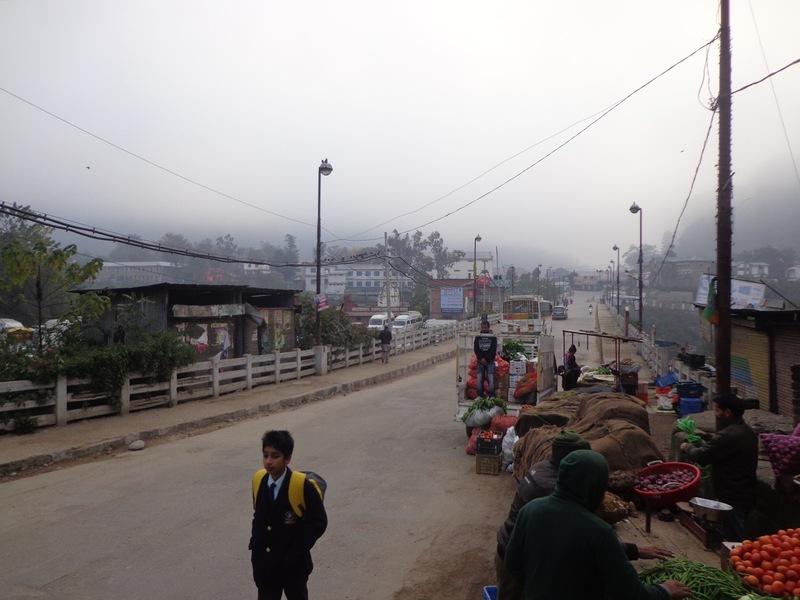 It is possible to traverse the entire town limits of Mandi on foot. TripAdvisor showed three places of interest nearby. All three were religious places. The location of one of them is not proper. The other two are within walking distances from the bus stand. Since I was back in Mandi by 2:30, I decided to much on some peanuts and visit these places. 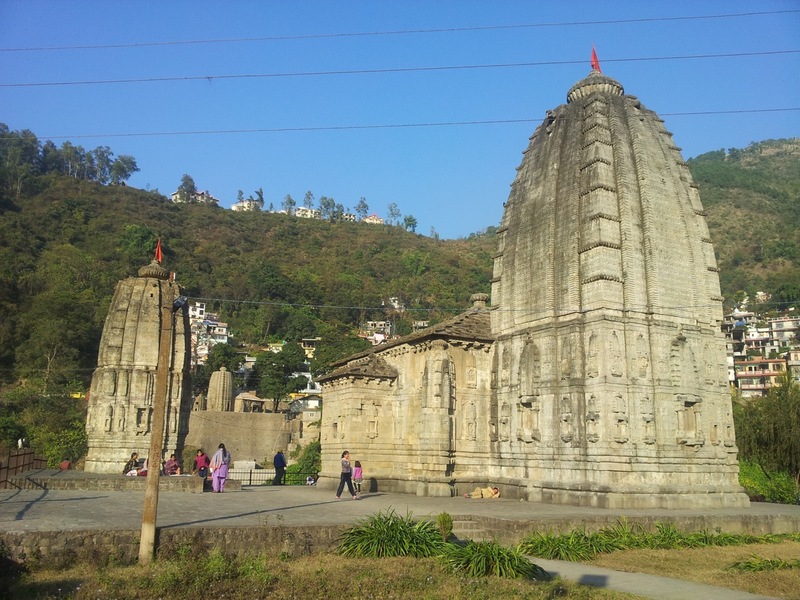 There is a cluster of temples around the Triloknath temple, flaking either sides of the Beas river. The entire area has been taken over by ASI. These temples are about five centuries old and are still in pristine condition. 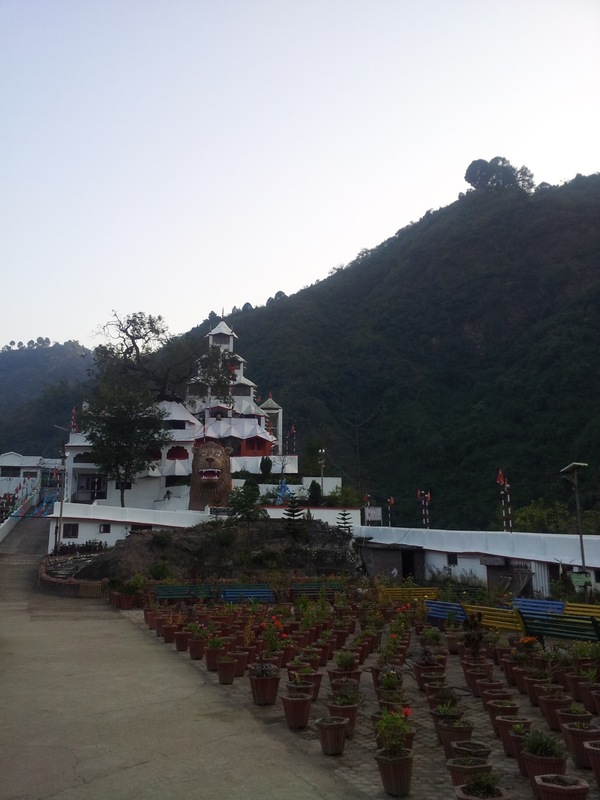 The Triloknath temple is on the National Highway. Some old idols are kept on display. 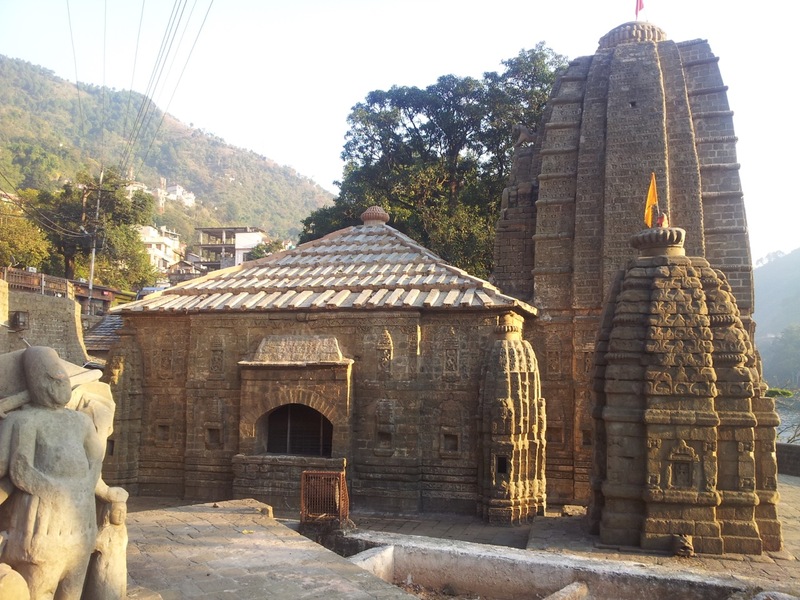 This is a Shiva temple just on the opposite bank of the Triloknath temple. Triloknath temple’s spire is visible between the two spires. Brahma (?) idol in a third temple. 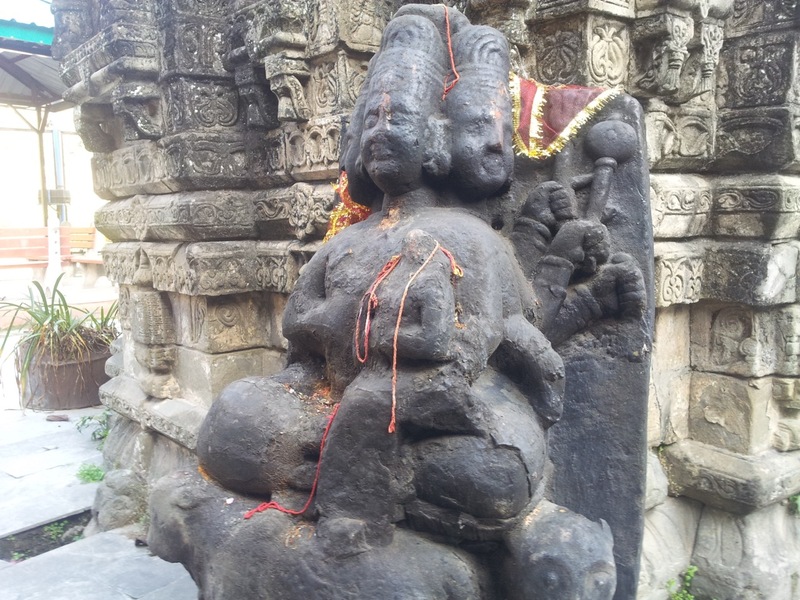 The location of Bhimakali temple is wrong on TripAdvisor. Google Maps, on the other hand, shows the right coordinates. TripAdvisor made me walk some extra 5 kms. 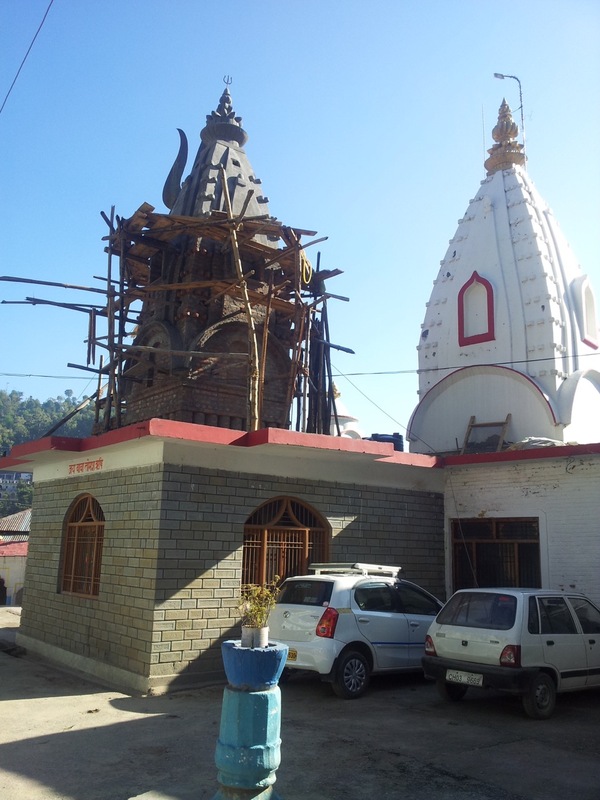 The Bhimakali temple is situated right beside the bridge that connects Mandi and Kullu. 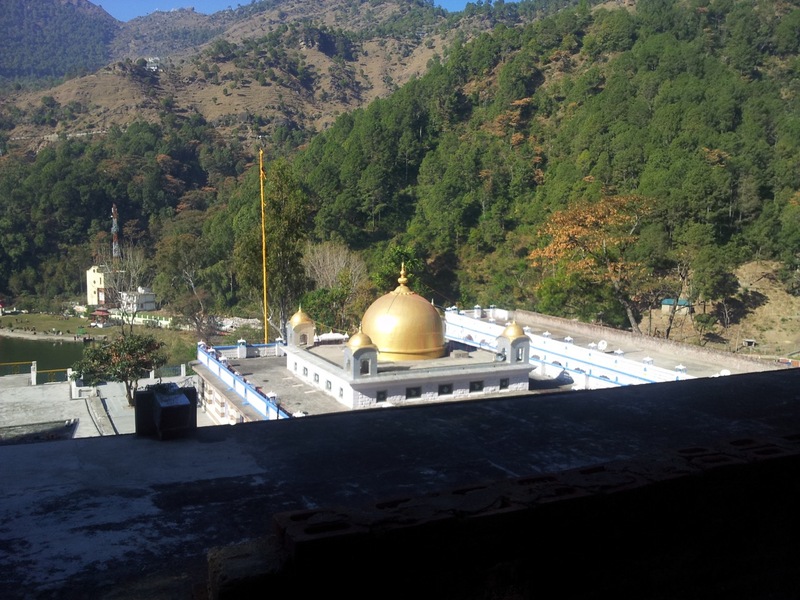 Guru Govind Singh’s Gurudwara is right opposite to the temple. 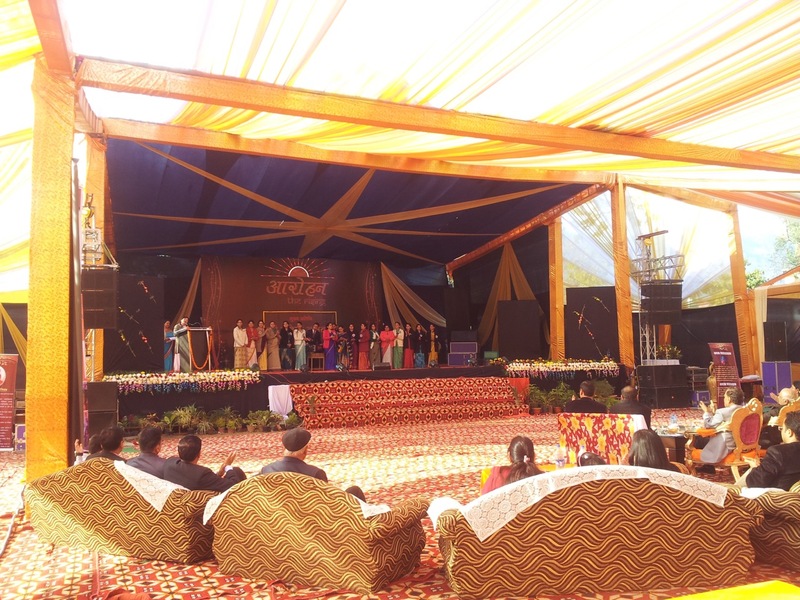 Unknowingly, I invaded a private function organised by the Dayanand Arya Vidyamandir. I thought it was some sort of fair. The lady on the left was giving a vote of thanks. The others followed it with a song.